Backpacks and book bags are neat because they’re practical, but they can also be very stylish. Well, surprise! They can also be an awesome outlet for your DIY skills! 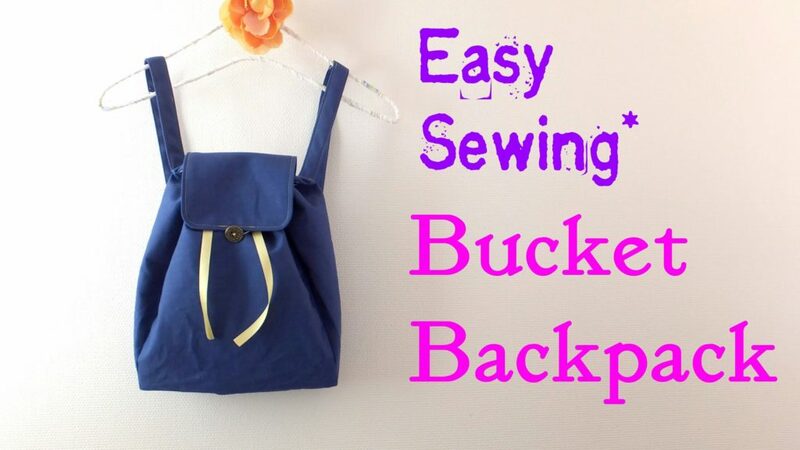 Check out these great DIY backpacks that are simple to make if you have some basic sewing knowledge. 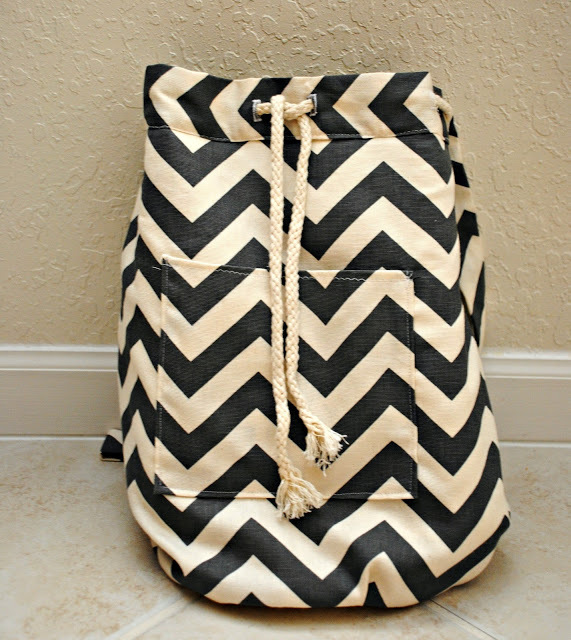 Yours backpack doesn’t have to be chevron like this one, but it sure is a good look! This bag’s drawstring makes it easy to get into, and there’s even a pocked on the front for quick access. Find out how to make it on Trash to Couture. 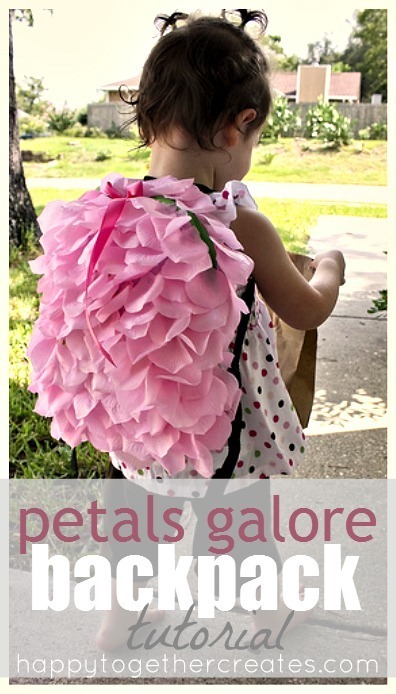 This adorably ruffled backpack by Me Sew Crazy sits right where an old fashioned bustle would. If you have a dress the same colour as your bag, it’ll look like part of your outfit! 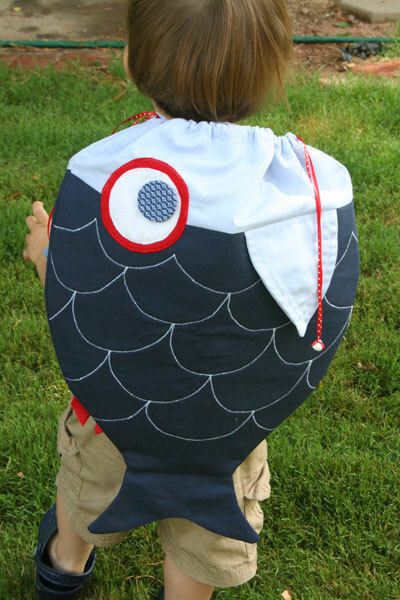 Drawstring topped bags are nice and easy for kids to use, and they’ll also love this fish pattern by Tried & True. Hello Bee shows you how easy it is to customize a backpack in a way that’s both stylish and fun to do, even for your kids. Get it? 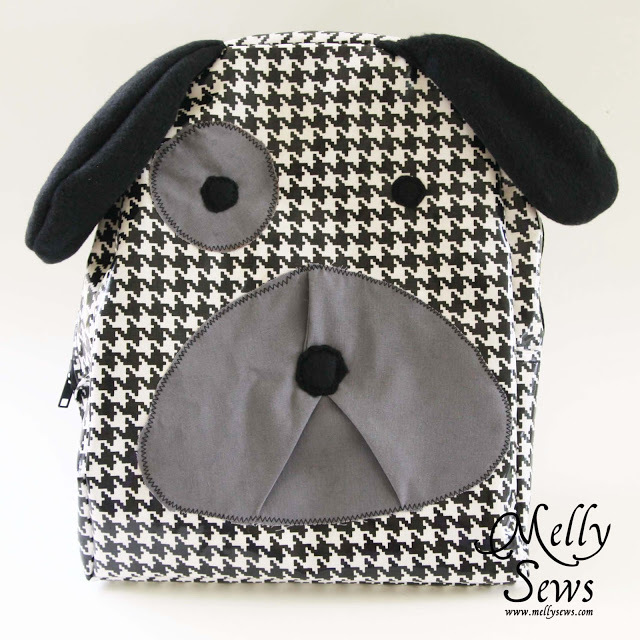 A hound’s tooth dog backpack! 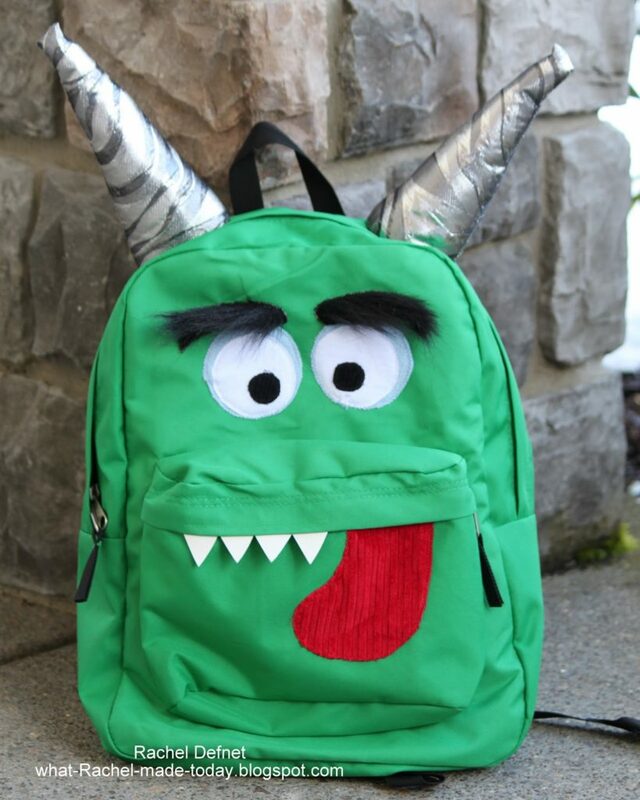 Besides being “punny”, this backpack is simple to make! 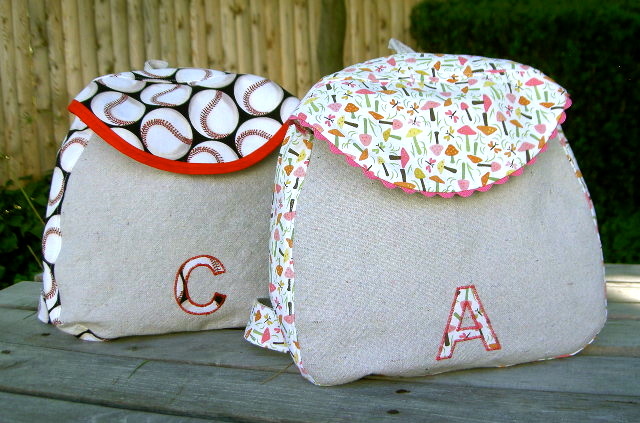 Melly Sews shows you how to do it. 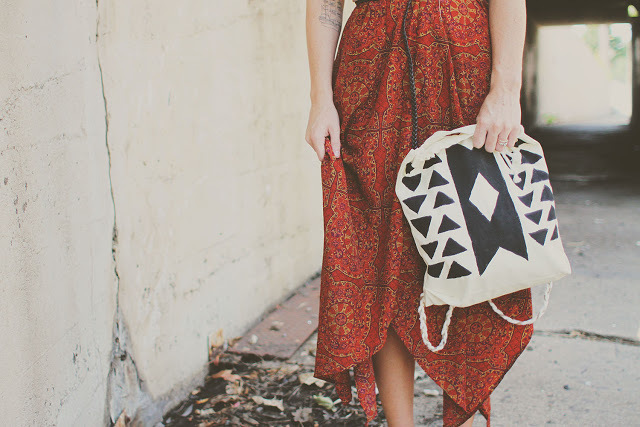 If you’re like us, then you probably have an abundance of tote bags just lying around. 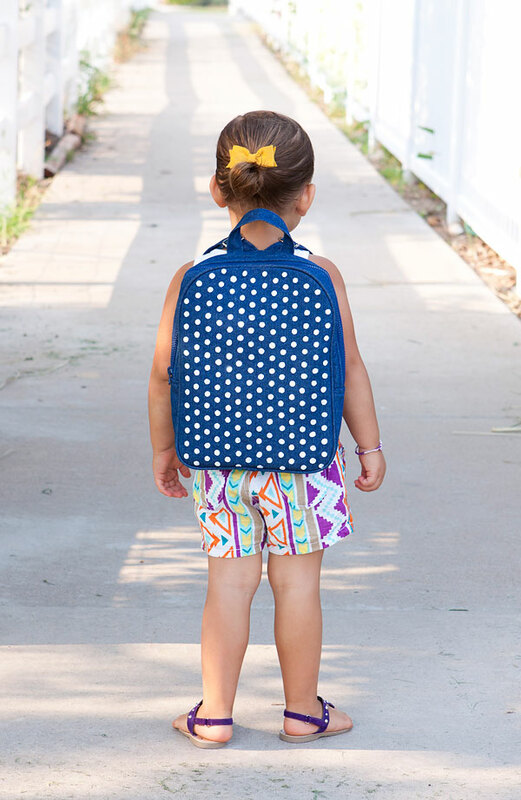 Pick a big one and follow Sincerely, Kinsey‘s pattern to transform it into a hand painted backpack. 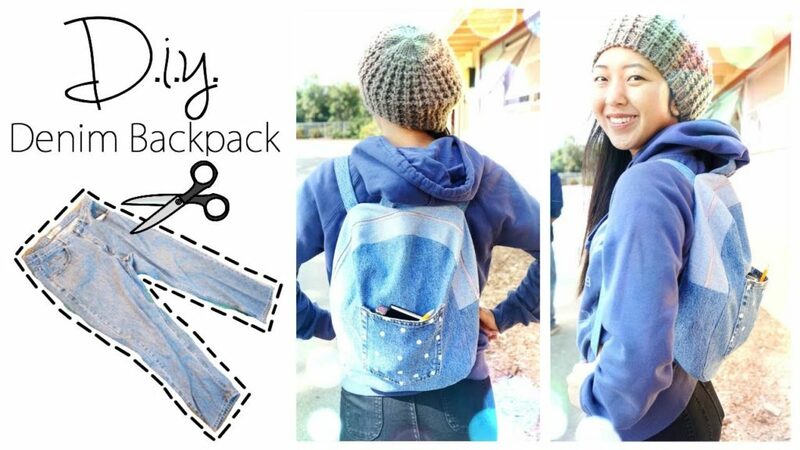 Infarrantly Creative shows you how easy it is to make a useful side pocked on a DIY backpack! It’s perfect for holding water bottles. 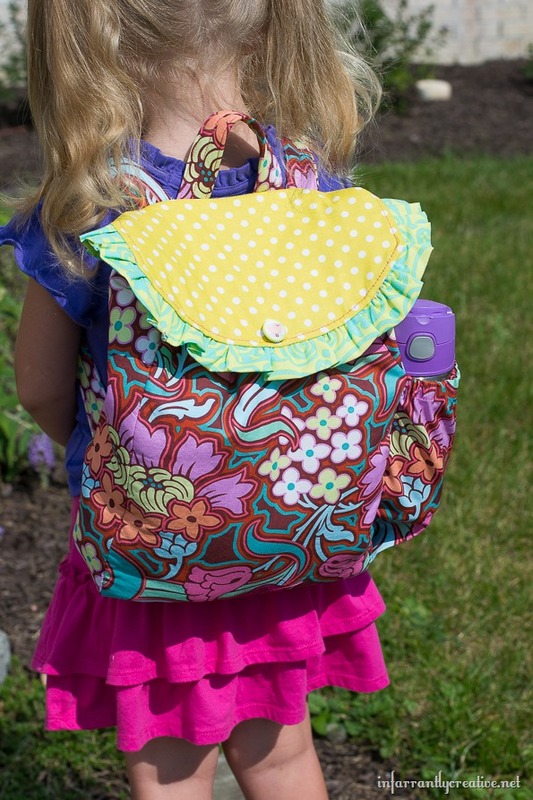 U Create‘s petal backpack might look complicated, but you’ll really have it done in no time! The finished product is absolutely adorable. Monogrammed things make great gifts for kids, and they also help teachers and babysitters identify which things belong to which child. Check out how to make these ones on That’s My Letter. Your kids will get a real kick out of these novelty circular backpacks! They might not be practical for carrying school books, but they’re great for hauling snacks to day camp. Get the pattern on Me Sew Crazy. 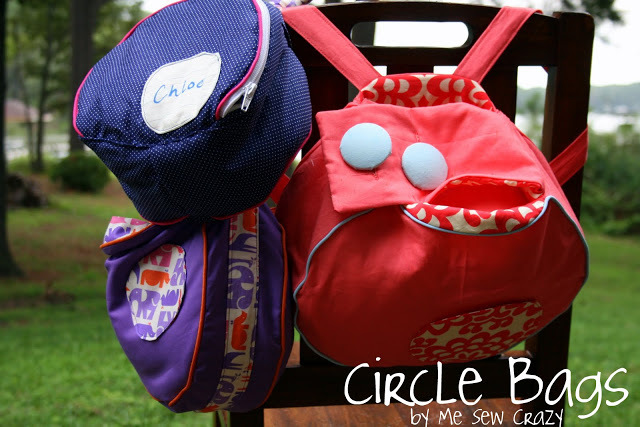 If you don’t have time to make your child a new backpack from scratch, why not customize one instead? What I Made Today shoes you how to turn a green one (or any colour you like) into a silly monster! Are you a huge fan of Japanese cartoons and characters? 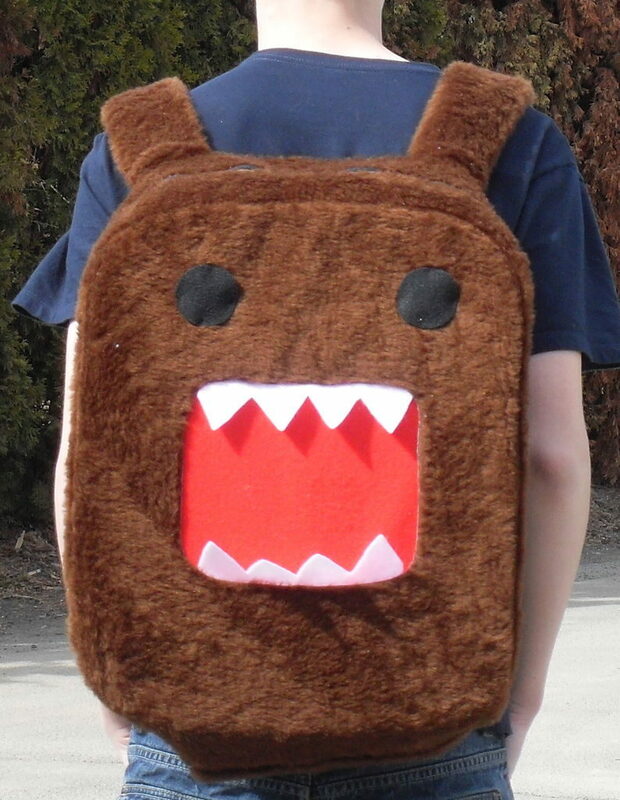 Instructables guides you through the steps for creating this super fuzzy Domo-Kun bag! Hart and Sew reminds you that bright neon colours make for a great statement piece no matter what your DIY project is! This backpack’s closing flap will keep all of your things secure. 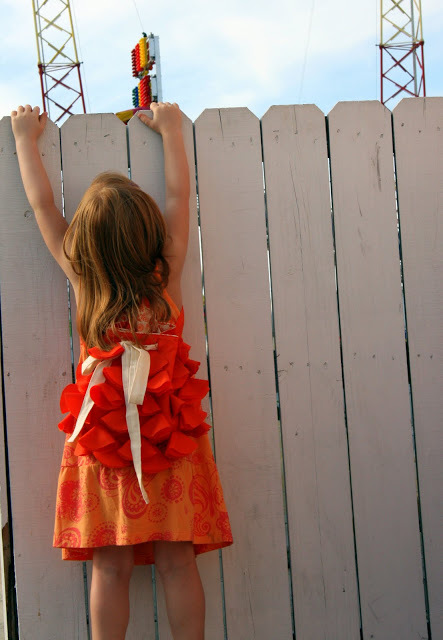 What’s even better than a regular DIY project? One that upcycles, of course! 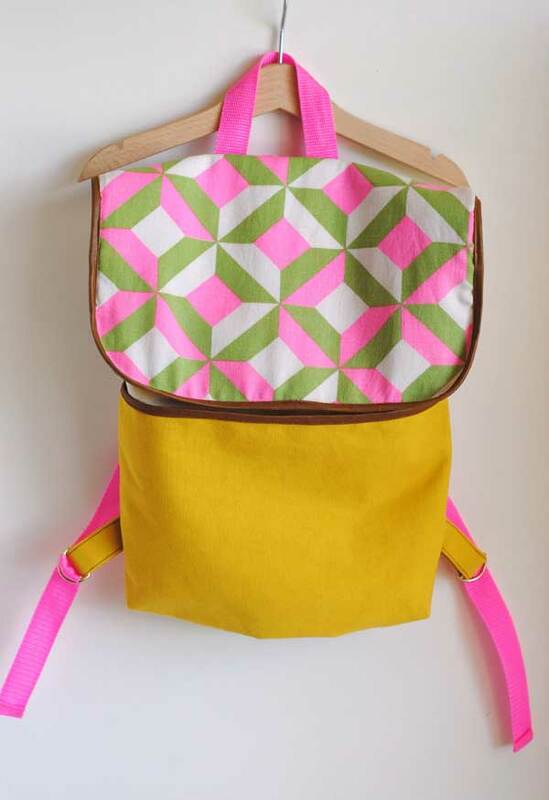 Check our Coolirpa‘s pattern for transforming an old pair of jeans into a stylish book bag. Are you just learning how to sew but you’re not sure you can handle some of the designs on this list? This super simple sewing pattern by Atelier Ruth might be just what you need! Have you made yourself another style of DIY backpack that you don’t see here? Tell us about how you did it in the comments section!